Gelvin Stevenson (Western Cherokee) was born in Chelsea, Oklahoma, raised in Missouri, and now lives in Manhattan with his wife, Clara Rodriguez. He has two grown children who live nearby. Mr. Stevenson holds a Ph.D. in economics, and has many years of experience as a writer and a consultant working with clean energy companies and as a financial consultant in Indian Country. Currently, he teaches environmental economics at Pratt Institute. He has worked as an independent investment consultant for Native American nations and start-up companies in the energy and environment industries. He has also served as a speaker at numerous conferences throughout Indian Country on finance and investment issues. Mr. Stevenson served as director of investment responsibility for the $40 billion New York City Pension Funds. Prior to that, he organized tenants and youth gang members in the South Bronx, and wrote about housing abandonment and arson. He organizes the Greentech Investors Forum NYC, which meets monthly in New York City and provides opportunities for a clean energy company to present to an audience of investors and strategic partners. He has organized more than 120 of these, and developed an extensive knowledge of emerging clean energy technologies and companies. For more than seven years, he wrote on economics and corporate finance at Business Week. 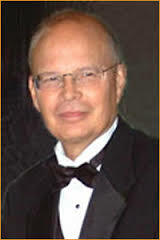 He has also written for The New York Times, The Nation, Indian Country Today, The San Juan Star and other publications. Mr. Stevenson is also a board member of the Cherokee Historical Society. His hobbies include biking, swimming and weaving string figures.